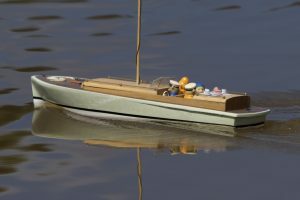 Teddy Bear's Picnic; Model: Tony Crollie. 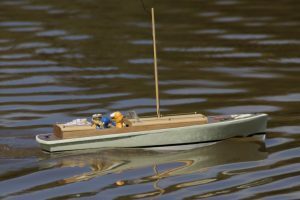 If you go down to the pond today… Model: Tony Crollie; movie: Alan Bond. 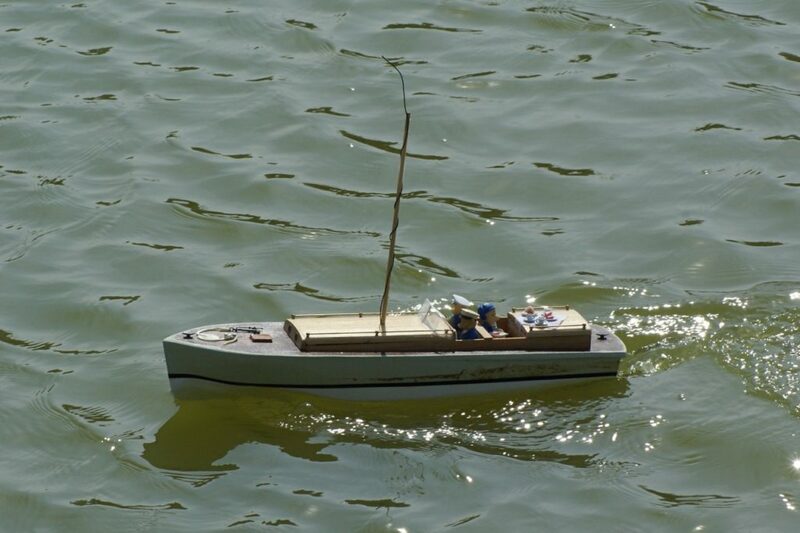 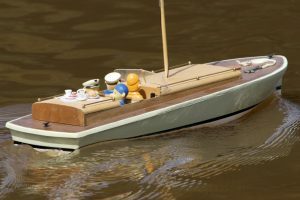 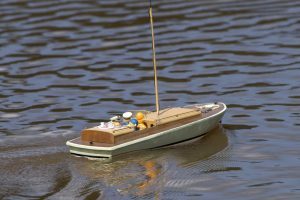 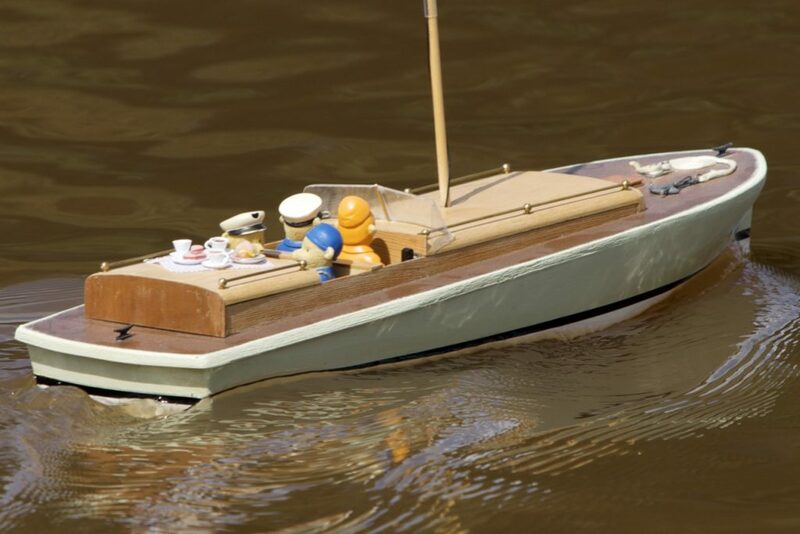 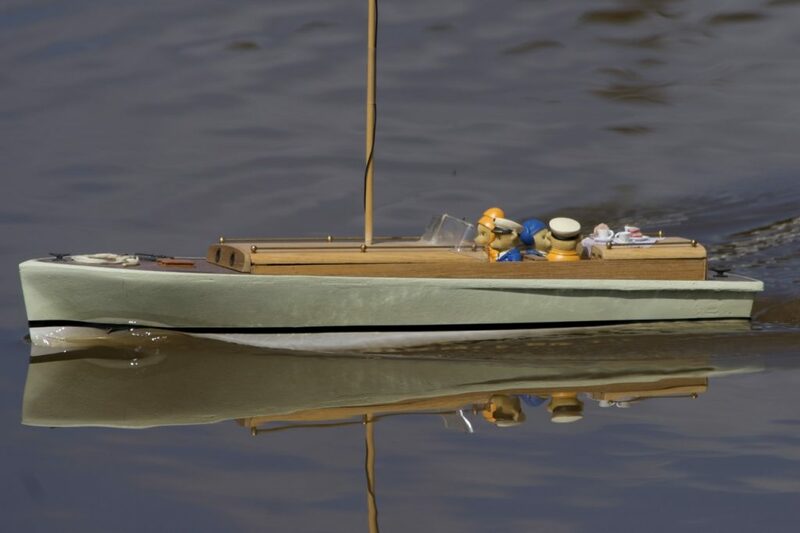 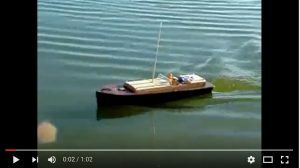 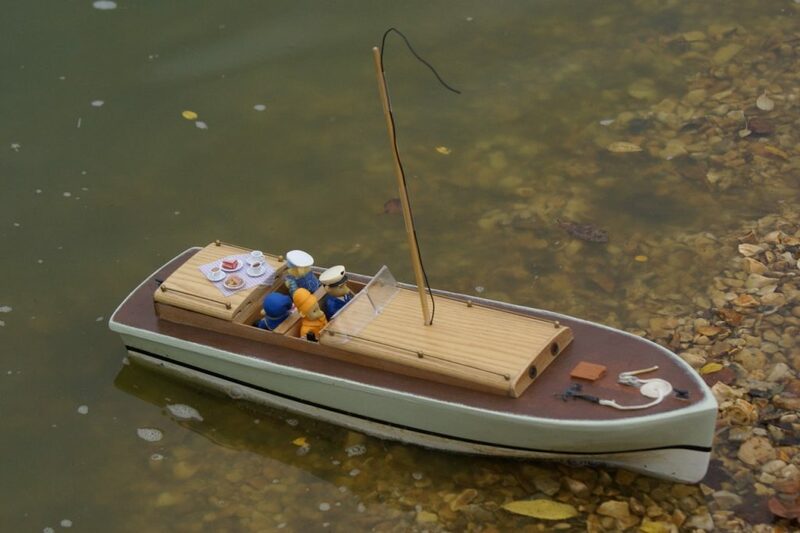 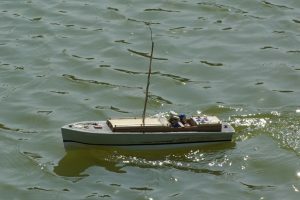 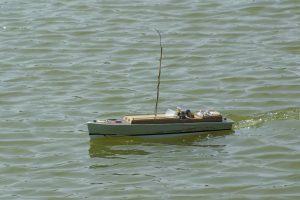 Alan’s comments: “Not long after joining the club I spotted a pondside bargain – a small cabin cruiser, complete except for ESC, with radio gear and almost new TX, for sale at £10 or was it £15? 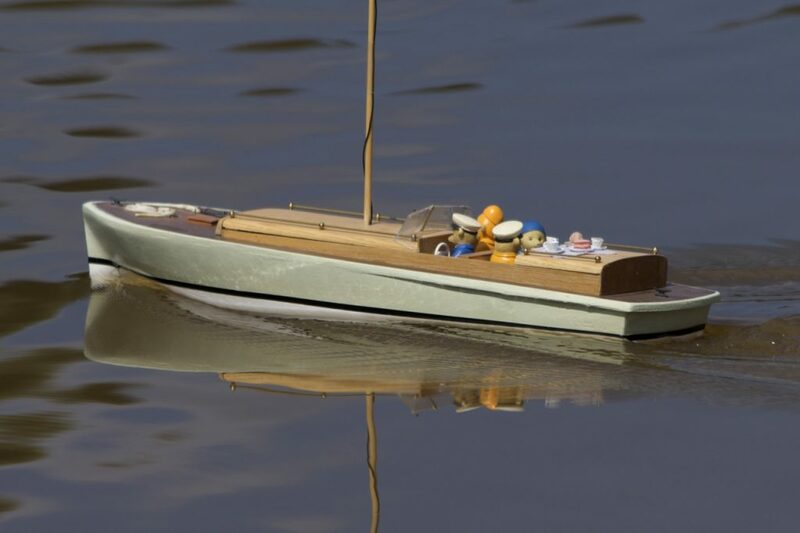 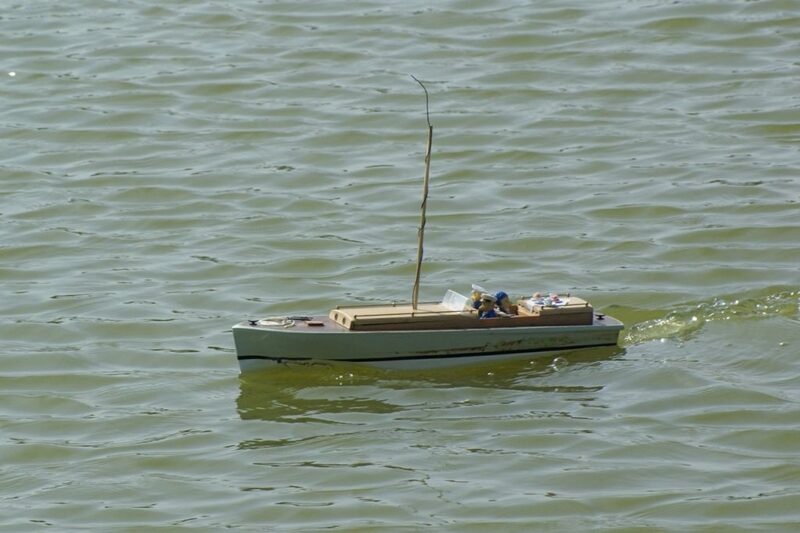 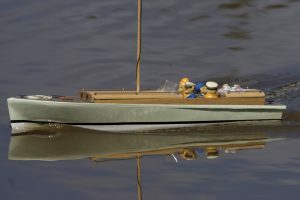 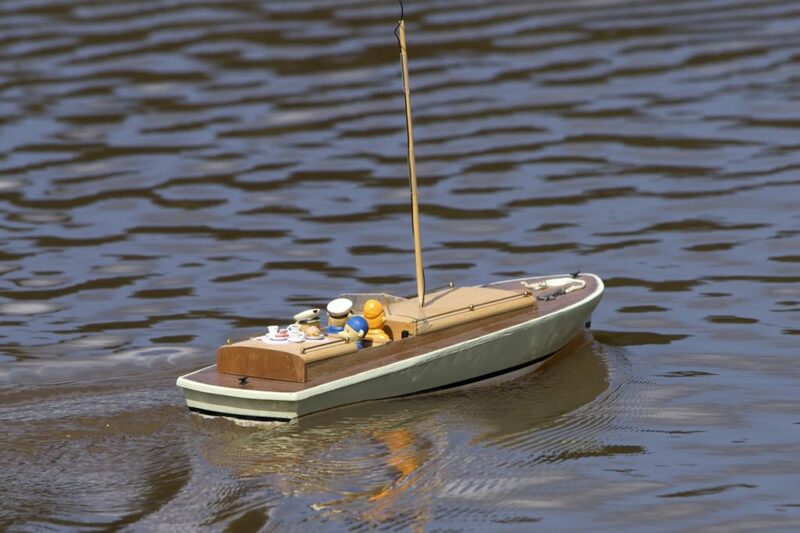 So I bought it for the TX and RX and gave the remainder to my prodigious boat building friend, Tony Crollie. After some experiments Tony decided to re-model it as a 1930s style naval launch – which apart from a whole new superstructure, also involved adding filler to modify the previous cabin cruiser style prow to give a more ‘period’ hull shape.